The film industry is one of the UK's great strengths. As one of the sectors that make up the creative industries, it has over recent years demonstrated that it makes a significant contribution to the country's economy, but it is beginning to show strains flowing from an acute skills shortage. There are many factors at play which makes the UK an attractive a production base: we have award-winning craftspeople, generous Government tax breaks, a range of visually arresting locations and amazing facilities like world-renowned Pinewood Studios. However, we now have a supply and demand dynamic at play. The film industry is in competition with the group of tech companies we are all familiar with and grouped together under the acronym FAANG (Facebook, Amazon, Apple, Netflix and Google), and high-end television drama productions. Everyone is chasing a workforce that is not growing fast enough. The British Film Institute (BFI), last year published a report about the skills shortage - Future Film Skills: An Action Plan - which estimates that 10,000 new entrants to the industry are needed over the next five years. As the Creative Industries Federation reports, the key reasons contributing to this situation include "a mix of inadequate provision at schools, an underdeveloped technical education system and a lack of awareness about careers that the sector has to offer." So, what can careers advisors and teachers do to support a sector-wide effort to broaden reach and raise awareness of the career opportunities available to young people? Probably one of the most important messages is that having a media, film or creative background is not a prerequisite for working in film. If a student is interested in film but not sure in what capacity, a useful exercise would be to map what subjects they like or are strong in with various roles. You could explore maths for production accounting, business skills for producers, English for script supervisors, press and PR, and marketing. The Creative Skillset A to Z of job roles would be the starting place for this exercise.The following are a selection of trusted sources of information, useful websites and resources which will help to demystify and encourage students to seriously consider a career in the UK film industry. We can only maintain our world-leading reputation if we draw from a wide talent pool and that is dependent on the great work of the careers service sector who can cascade, and share, this message that there are jobs in the UK film industry. You never know, that student may just one day name check you as they accept an award! We have a page collecting all of our careers resources and other content for teachers to use in the classroom to enable students to make their first films, as well as films and podcasts from professionals about their job roles and films that they have worked on. Creative Skillset works with the UK's screen-based creative industries to develop skills and talent, from classroom to boardroom, and has been tasked by the BFI to deliver a 'Future Film Skills Action Plan'. The 'Ways Into the Industry' section on the Creative Skillset website lists the different means through which new entrants can enter the industry, which you could combine with watching films about the jobs to reinforce the learning. BAFTA Guru is the part of the British Academy of Film and Television's website which seeks to inspire anyone who is interested in film, television and games. The site is full of resources covering the full spectrum of job roles often with well-known industry professionals through masterclasses, podcasts and films. It's also worth checking out BAFTA's series of events across the country, particularly BAFTA Guru Live, their outreach programme, and their various opportunities for new talent. 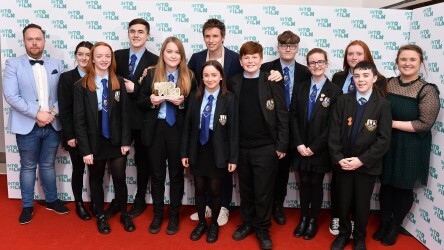 BFI Film Academy is the British Film Institute's flagship scheme providing opportunities for talented and committed young people between the ages of 16 and 19 to develop new skills and build a career in the film industry, no matter where they live or what their background. Bursaries are available to attend. Besides the national network programme, there is also a specialist residential programme which young people can also apply to. 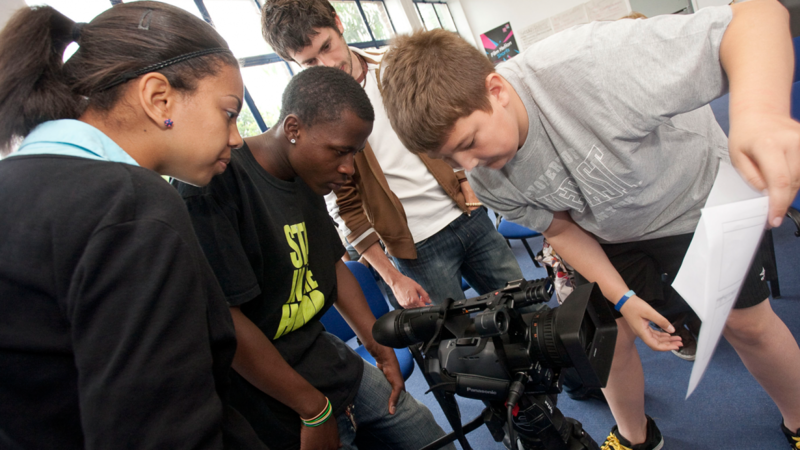 Check out the BFI Film Academy FAQs to help young people with their queries. Massive Open Online Courses - better known as MOOCs - can used by students to demonstrate their extra-curricular interests. FutureLearn has teamed up with a number of institutions and organisations, including Into Film and Creative Skillset to create some free film-related MOOCs. Pixar In a Box has also developed some similar online free learning resources based on their films. Learn how maths and physics in the classroom translates to the animated characters seen on the big screen. The Institute of Physics has compiled a booklet explaining the role of physics in films, from looking through a camera lens to knowing how real objects behave in order to digitally model them accurately to the technology used in the filmmaking process, to the importance of visual effects. Show and demonstrate your passion. Watch, blog, film, edit, make models, build things, create a portfolio back up your interests. Read the credits at the end of a film - there are a wide range of jobs in the industry you can check out and research. Think about what you can do outside of school to develop your skills. A part-time job can demonstrate your timekeeping, that you can be trusted with money, have interpersonal skills to deal with the public, etc. 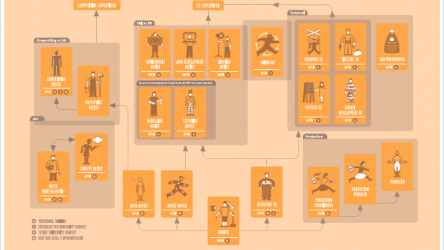 Making a film/game/TV programme is a team effort - how can you demonstrate this? 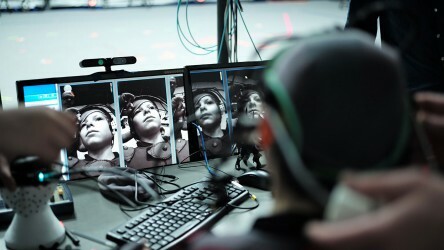 If interested in VFX/game industries can check out free tools and software such as Unity, Blender, Maya and Sculptris. There are various online forums where you can find like-minded people to discuss and collaborate with. Follow companies/industry professionals on social media. Read industry news - Screen Daily, Hollywood Reporter, Variety, Indiewire, The Guardian, Broadcast, Doc Society, etc. We're delighted to reveal the incredible nominees for the 2018 Into Film Awards. Watch all the nominated films ahead of the 13 March ceremony. 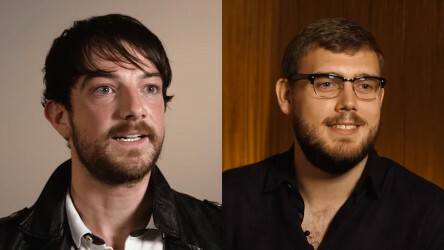 Actor Kevin Guthrie & Development Executive Gavin Glendinning explain what their careers involve, and offer their advice for embarking on film industry careers. 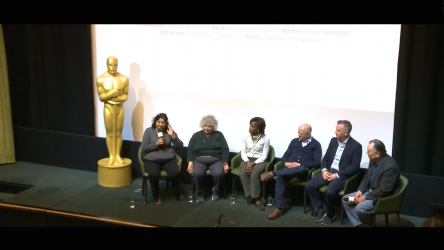 At this year's Into Film Festival, we held a special Careers in Film Summit, where Academy members and other film industry guests discussed their professions.